May your New Year be happy and bright as lights in the sky. The preparations are almost complete. A few miles up the road, I understand, the exits at our nearest shopping center are jammed, but I was there yesterday when it wasn't too crazy. People seemed to be reasonably sane, there were no cart crashes in the grocery store although I saw a few close calls, and people wished each other Merry Christmas. So, too, do I wish a very Merry Christmas to all those who observe. My household always was and still is multi-religious. We are Catholic, Protestant and Jewish in nearly equal number, have a few folk who observe Yule and a few who just observe a good dinner--because that is one thing we always have. Most older members and a couple young ones are with us in spirit only. Since the death of my Aunt Mary, I am now officially Matriarch of the Family. And though I'll never mix a cocktail like my aunt--whom I happily carted to Midnight Mass for the last years of her life--I will dutifully dish up chili and cornbread on Christmas Eve and roast beef and Yorkshire Pudding on Christmas Day. Remove roast from oven and keep warm. Pour 1/4 cup drippings from roaster into a loaf pan. Sift flour and salt. Gradually stir in the eggs and milk. Beat with a beater until smooth. Pour into pan and bake at 450 degrees for approximately 30 minutes. If pudding browns too rapidly, reduce heat to 300 degrees until pudding is puffy and a knife blade inserted in the center comes out clean. Remove and serve with gravy and roast. Makes six modest portions. We usually doubled or tripled the quantity and simply lined up loaf dishes because the small-volume dish makes the pudding rise like crazy. Additionally in our case this meal was always accompanied by Brussels sprouts, carrots and parsnips, creamed onions and apple pie. And usually tea, though we're pretty thoroughly assimilated by now and coffee often prevails. Still, I suspect this meal would look familiar to someone from Cornwall. Someday I'd like to go there and find out for myself! 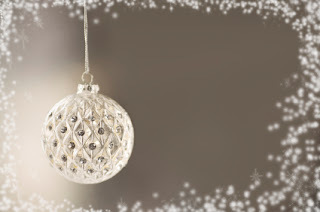 A peaceful, prosperous Yule and happy Solstice to all! This year’s delightful collection of Christmas short stories features a multitude of romantic genres all with one common theme: during the holiday season, nothing’s better than spending it with the one you love. 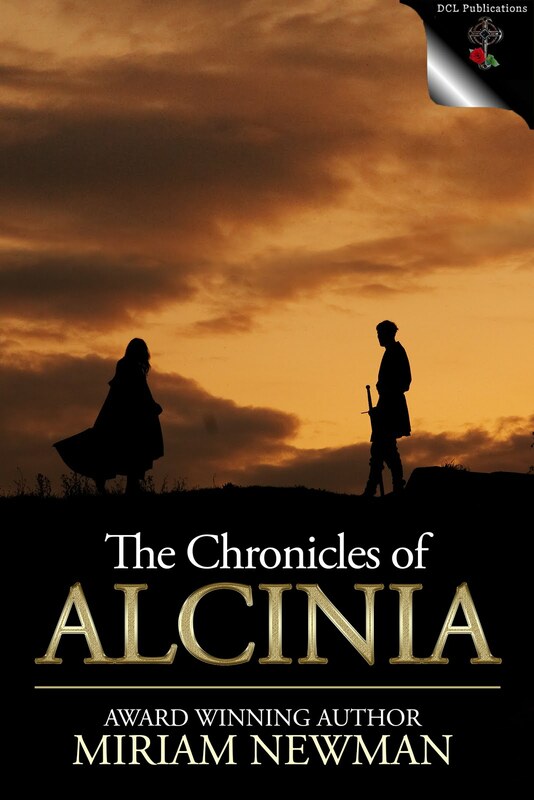 A time-traveling Highlander brings comfort and joy to a young woman grieving her lost family . . .
A royal prince and a commoner fall in love despite their differences and a handful of untruths, thanks to a wreath that grants wishes . . .
An alien race understands the simple reward of giving, when their human captive does not . . .
Just to name a few! If you are looking for something new to read this holiday season, please try out this book!. 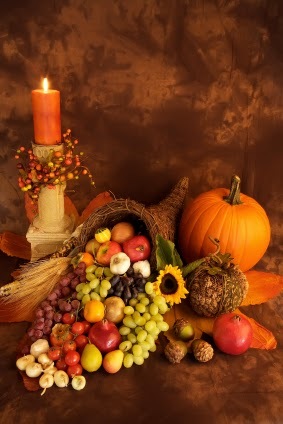 Wishing a peaceful and beautiful Thanksgiving Day to all who observe. Guest author Nancy Lee Badger stopped by to talk about her latest release, UNWRAPPING CHRIS, a contemporary Military short story with a Scottish Christmas theme. We found a memorial obelisk in front of Concord Hospital in Concord, NH with the name of ancestor John Bean who was killed by Indians on August 11, 1746. Our son has just completed 10 years of service in the United states army which included a tour in Iraq during Operation Iraqi Freedom. My late father-in-law retired from the air force as a Lt. Colonel, and my dad served in the navy during WW2. What does this all mean to me on November 11th...America's National Veteran's Day? It means that I am very proud of all who served. So proud that I wrote a short story I titled Unwrapping Chris. It was published in 2010 by Whispers Publishing when they published a dozen short stories whose main theme had to include a Christmas wedding. When I recently got my rights back from the publisher, I created a new cover and released the book on October 10th everywhere. Yes, there is a military theme, and my son, Sgt. Eric Badger, assisted me by helping me make sure the military terminology was correct. Army widow Jayne Rockwell searches for a secure future for her and her two daughters. Staff Sergeant Christopher Hawkins regrets leaving young Jayne eight years ago to go off to war. A crash encounter a week before Christmas thrusts these two lonely people back into each other's lives once more. Jayne must learn to trust a man who disappeared with her heart. Chris must overcome the guilt of taking her innocence, and then leaving her heartbroken and alone. A Christmas wedding brings them closer when Jayne spies him as a groomsman in Highland dress, complete with kilt. He cannot keep his eyes off the woman in green velvet wearing a wedding ring. Accusations, explanations, and remorse leads to a love that erupts among candlelight, Christmas carols, and a dark room. Who needs mistletoe? for a more on all my books! I’m Cynthia Owens, back once again to invite you to visit a tiny island jewel on the Atlantic Ocean, complete with tidal pools, caves, a beautiful lighthouse and a rocky coast upon which many a Maritime sailor has run aground…including Cathal Donnelly. Turtle Island is the setting for my new historical-romance-with-a-paranormal-twist, Keeper of the Light. If you’ve read Deceptive Hearts, the first book of the Wild Geese Series, you’ll recognize Cathal as one of Shane MacDermott’s best friends. A story teller and a singer of songs, a dreamer and a bit of a rebel, Cathal washes up on the stormy shores of Turtle Island with no memory of who he is or why he’s there. He’s rescued by Laura Bainbridge, a spirited Maritime beauty with dreams of a wider world beyond the island home she’s always known. But will dreams of Prince Charming take her away from Turtle Island? Or will an encounter with Helena Bodewell, the island ghost, point her in a different direction. A high, thin cry sliced through her reverie. Her skin prickling, Laura peered into the thick fog. Nothing. Had she imagined the sound? Was it merely the wail of the wind, the cry of a seabird? The sound came again, lost, grief-stricken. A woman’s keening wail. She squinted harder, straining to make out a form, a shape, anything in the thick shroud of fog and dark. There! High on the cliff at the far end of the beach. A small white-gowned figure, long blonde hair blowing around her. Laura gasped, coughing violently as the wind scored her lungs. “Helena?” The howling wind snatched the whispered word and carried it away. The woman turned slowly, and Laura’s breath caught in her throat. Had the woman in white heard? She was beautiful. Laura had known she would be. Fragile and ethereal, the small woman’s sea-colored eyes blazed, her ruby lips curved into a smile of heartbreaking loveliness as she gazed steadily at Laura for a timeless moment. Then the wisp of a vision vanished. Was it possible? Had she really just seen the legendary Lady of Turtle Island? Had Helena’s gaze really met hers? Would the island ghost’s prophesy come true? Pat McDermott here, back this time with Autumn Glimmer, a paranormal adventure for young adults of all ages, and I'm happy to announce that the book is now available in print. Set in an Ireland that might have been, Autumn Glimmer is the sequel to Glancing Through the Glimmer. The "Glimmer" books feature Ireland's mischievous fairies, who refer to their magic as glimmer. 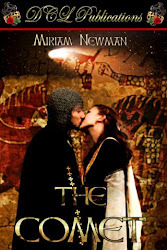 The stories are prequels to the Band of Roses Trilogy, whose "what if" premise supposes that High King Brian Boru survived the Battle of Clontarf in 1014 A.D. and established a royal dynasty still in existence. Teenage Prince Liam stars in the Glimmer books, along with his American friend, Janet Gleason, who can’t seem to stay away from the fairies. Because Janet’s grandfather is the U.S. Ambassador to Ireland, Janet lives in Dublin and attends an upscale boarding school. She still misses Boston, especially in autumn, when New England’s trees are so gorgeously vibrant. But she’s settled into her new life well and landed the lead in the next school play. When King Brian invites the Gleasons to his country estate to celebrate Halloween, Janet is happy: she’ll be with Liam again. Janet and Liam meet again for a Halloween weekend they’ll never forget… Fairies living beneath the lake on the King of Ireland’s country estate? Janet Gleason isn’t surprised. The American teen and her royal friend, Prince Liam Boru, have met the Good People before. Just before Halloween, three of the fairies, Blinn, Mell, and Lewy, leave their watery home to fill a magical bag with the flowers their queen requires to keep a hungry monster asleep. A tragic ride on a Fairy Wind leaves poor Lewy lost and alone. Can Liam and Janet help him find the flower bag before the monster awakens? Or will Lewy’s misguided glimmer trap the young mortals forever in the palace beneath the lake? Below the bubble, the water brightened to lustrous cobalt blue. Stars seemed to shimmer deep in the lake. A forest of vegetation waved on the lake bed. The impossible sight of crystal towers emerged beyond the greenery, and Liam wanted to dance. She was right. A nasty whiff of something vile had seeped into the bubble. Becula raised her arms. “Hasten!" The bubble’s downward speed increased. The stench intensified. Trying to pinpoint its source, Liam scanned the ghostly lake. An amber mist glowed in the inky water beyond the light and seemed to be pursuing them. “What is it?” he asked, dreading the answer. A terrible roar tore through the bubble. Janet yipped and clung to Liam. Squashing his lips to keep from yipping himself, he hugged her to him. The mist billowed into to a putrid fog that poured like custard to sully the water. Another roar, much closer this time, jolted the bubble. Janet screamed. Liam’s heart leapt into his throat. A blood-red eye as big as an autumn moon stared in at them from the water. How could such a behemoth exist in the little pond? Liam tightened his hold on Janet and hoped the Invincible Orb lived up to its name. Boston native Pat McDermott writes romantic action/adventure stories set in Ireland. 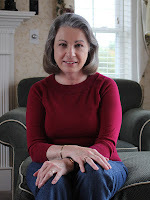 Pat is a member of the New Hampshire Writers’ Project, Romance Writers of America, and Celtic Hearts Romance Writers. Her favorite non-writing activities include cooking, hiking, reading, and traveling, especially to Ireland. She lives and writes in New Hampshire, USA. 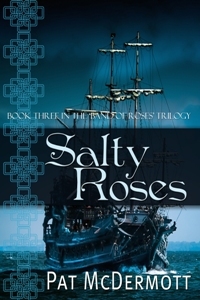 Pat McDermott here, announcing that Salty Roses, Book Three in the Band of Roses Trilogy, has just been released in print. That means the entire trilogy is available in paperback! 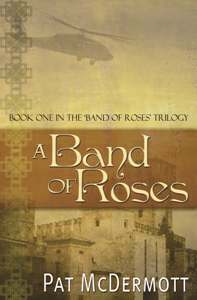 The Band of Roses Trilogy, a series of romantic action/adventures set in a modern Ireland that might have been, supposes that High King Brian Boru survived the Battle of Clontarf in 1014 A.D. and established a royal dynasty that rules Ireland to this day. As head of state, the current King Brian upholds ancient traditions, as does his daughter, Crown Princess Talty, though Talty has a knack for landing in trouble. Book One, A Band of Roses - The indomitable princess must hide her identity to outwit assassins, but she can't hide her ingrained training as a warrior sworn to protect her homeland. From Japan to California to an eleventh century Ireland, she finds romance and adventure, yet all she wants is to return to her family and Neil Boru, the adoptive cousin she secretly loves and cannot have—or so she thinks. In Book Two, Fiery Roses, a major discovery of offshore gas ensnares the Boru clan in a web of blackmail and murder. When the residents of rural County Mayo object to plans to run pipelines over their pristine bogs, an arsonist tries to change their minds. 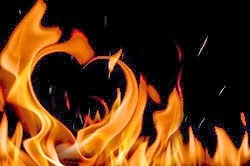 One of his fires sends newlyweds Talty and Neil to an ancient world at the mercy of a waking volcano. While they struggle to outwit a tyrant with a shocking secret, King Brian locks horns with ruthless oilmen. The resulting conflict proves fatal for the Boru clan, whose members once again close ranks to thwart the latest threat to the kingdom they are sworn to protect. Book Three, Salty Roses, finds the dynamic heir to the Irish throne thinking her days of exotic adventure are all done and dusted, yet Talty's royal duties seem endless, and a day off with handsome husband Neil is looking good. Former naval officer Talty eagerly accepts an eccentric billionaire’s invitation to sail aboard his luxury submarine, but as she and Neil dive beneath the waves to view an eerie shipwreck, a sinister plot unfolds. An unknown enemy lures them to an ancient tomb and sends them to a world infested with treacherous pirates. Talty takes charge of a pirate ship and its mangy crew, while Neil matches wits with a steamy temptress who jeopardizes his wedding vows. As he and Talty fight to save their marriage, they learn that the door to parallel worlds swings both ways. The wind fills the rigging and whips my hair. Salt spray dampens my face. The men at the oars propel my galley over the sea to capture the foolish merchant ship that dared to invade my waters. She sits low in the waves, weighed down with gold and silver, packed with silk and spices from the Far East. She’s mine. The droning words seeped into Talty’s fantasy like ink drops clouding a pool of water. The bracing tang of briny air gave way to the scent of new wood and fresh paint. She was back in the Grace O’Malley museum in Louisburg, Mayo. The raisin-like eyes behind his glasses squinted back at her. “Grania had several galleys under her command.” Gavin walked on, babbling away about tribal warfare in sixteenth century Ireland. Talty knew the story of Granuaile, also known as Pirate Queen Grania “Grace” O’Malley, yet she listened politely, ambling along after Gavin to the next display. Neil stopped beside her, biting his lip the way he did when trying not to laugh. The merry gleam in his eye said he’d caught her daydreaming. “Obviously. This ends the tour, ma’am. If you’re ready, we’ll officially open the museum.” Gavin started for the door. Talty followed, recalling one of her favorite stories about Grace O’Malley. Only hours after the Pirate Queen gave birth to a son in her cabin, foreign pirates attacked her galley. Grace appeared on deck clad only in a blanket. She shot the pirate captain with her blunderbuss pistol and led her men to victory. Having recently experienced childbirth herself, Talty found her admiration of the legendary woman turning to awe. The wax figures of Granuaile and her husbands, sons, and enemies positioned throughout the room appeared ready to step down and strike up a conversation. Colorful murals on the walls portrayed seascapes and sixteenth century sailing vessels, adding to the fanciful mood. This morning’s formalities would be modest compared to the afternoon gala at the Marine Foundation, yet Talty suspected she would spend the most enjoyable part of her day here in Mayo. The Marine Foundation was important, yes, but the reception following its opening ceremony was “by invitation only.” She dreaded facing the fawning, praise-seeking politicians who’d have the run of the place, and she didn’t care a whit if she ever met the billionaire tycoon, Roxy what’s-his-name. The Granuaile event was open to the public. Talty looked forward to her allotted forty-five minutes of shaking hands and chatting with the people before the Morrigan whisked her south to Galway. Silently rehearsing her short speech, she walked between Neil and Gavin to the Granuaile Center’s humble lobby. The standing crowd enthusiastically applauded her entry. Despite the warm welcome, Barry and Rory stood guard on either side of the packed little room. Their eagle-eyed vigilance was more than adequate for this quiet corner of Mayo. Security at the Marine Foundation would be tighter than a goatskin on a drum. Her public smile firmly in place, Talty cordially greeted the well-wishers, who had no way of knowing she was already back on her pirate ship, shouting orders to man the cannons and prepare to board. Boston native Pat McDermott writes romantic action/adventure stories set in Ireland. 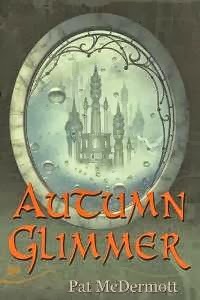 Glancing Through the Glimmer and its sequel, Autumn Glimmer, are young adult paranormal adventures starring Ireland’s mischievous fairies and an Irish royal family that might have been. Both books are “prequels” to her popular Band of Roses Trilogy: A Band of Roses, Fiery Roses, and Salty Roses. 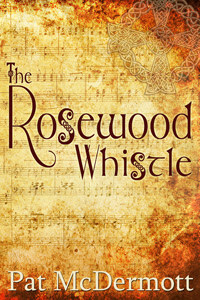 Her first contemporary romance, The Rosewood Whistle, features Ireland’s music and myths. Pat’s favorite non-writing activities include cooking, reading, music, hiking, music, and traveling, especially to Ireland. 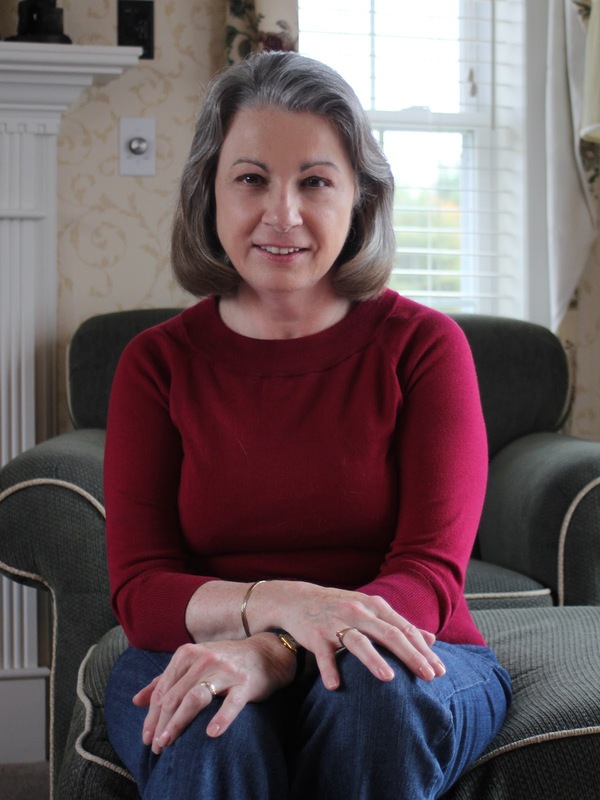 She is a member of the New Hampshire Writers’ Project, Romance Writers of America, and Celtic Hearts Romance Writers. She lives and writes in New Hampshire, USA. Fiery Roses, Book Two in the Band of Roses Trilogy - Now in Print! Pat McDermott here, visiting The Celtic Rose today with an excerpt from Fiery Roses. I'm happy to announce that a year after making its e-debut, the book is finally out in print. I enjoyed revisiting memories of north Mayo while I revised and updated the story, my classic "Middle Child," often overlooked but a gem in its own right. 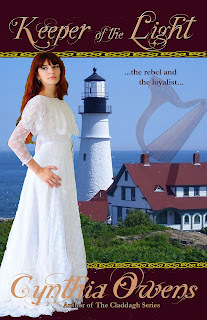 The "Roses" books are romantic action/adventures set in a modern Ireland that might have been. The "what if" premise supposes that High King Brian Boru survived the Battle of Clontarf in 1014 AD and established a royal dynasty still in existence. As head of state, the current King Brian upholds ancient traditions, as does his daughter, Crown Princess Talty, though Talty has a knack for landing in trouble. In the first book, A Band of Roses, Talty must hide her identity to outwit assassins, but she can't hide her ingrained training as a warrior sworn to protect her homeland. From Japan to California to an eleventh century Ireland, she finds romance and adventure, yet all she wants is to return to her family and Neil Boru, the adoptive cousin she secretly loves and cannot have—or so she thinks. In Fiery Roses, a major discovery of offshore gas ensnares the Boru clan in a web of blackmail and murder. When the residents of rural County Mayo object to plans to run pipelines over their pristine bogs, an arsonist tries to change their minds. One of his fires sends Talty and Neil to an ancient world beset by a waking volcano, and the residents believe she is the Goddess Pele, come to save them. As they struggle to outwit a tyrant with a shocking secret and find their way back to Ireland, King Brian locks horns with ruthless oilmen trying to bully their way over the bogs. Fiery Roses wasn’t supposed to be a sequel. When I started writing the book, I researched arsonists and developed a character sketch of an arsonist. Meanwhile, I monitored the Irish news online, vicariously living in Ireland, the country with which I’d fallen in love during my first visit in 2004. I noted rumblings concerning plans to harvest the natural gas discovered off the northwest coast of County Mayo in 1996. My arsonist began to merge with the cast from A Band of Roses. With the indomitable Princess Talty and her spirited kin still fresh in my mind, I wondered how the Boru clan would deal with the situation in north Mayo. 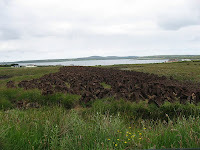 My husband and I decided to visit the Mayo bogs. We passed through some scenic country, the Atlantic Ocean to our left, the Nephin Mountains to our right. The bogs might have been rolling meadows, but the blankets of green weren’t grass. 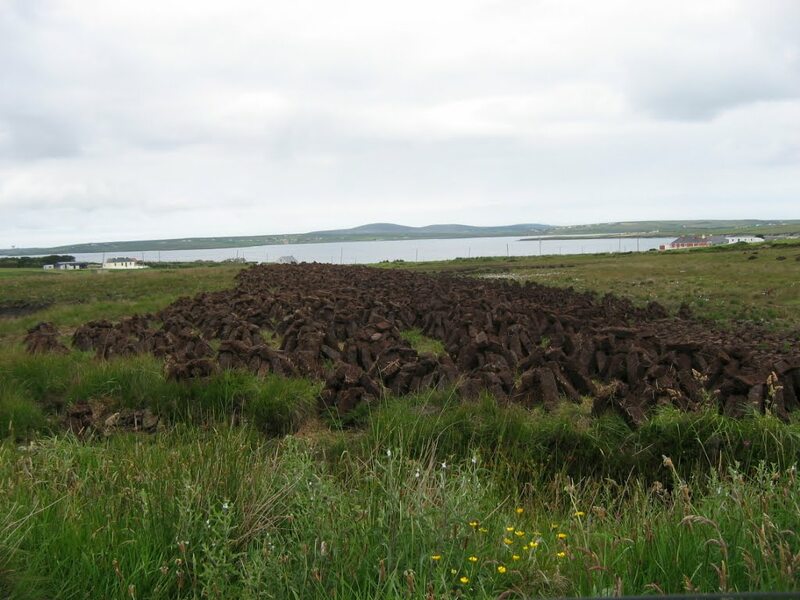 They were scraw, the layer of tough fibrous sod that covered the peat, or turf, as it’s called in Ireland. Masses of white bog cotton and yellow buttercups painted the scraw. Cows and sheep roamed everywhere. We soon saw men in hard hats working behind a chain link fence, large sections of blue pipe awaiting installation, and protesters sitting in parked cars. Surrounding them were hand-painted signs that said things like, "We are Irish citizens, not Shell subjects." The next morning, we learned that Royal Dutch Shell had sought and obtained a court order for the arrest of five Mayo men who refused the company access to their land. The men spent ninety-four days in prison. As I worked on Fiery Roses, a story filled with fictitious villains and heroes, I followed the Irish news, waiting for some resolution to the increasing hostility in north Mayo. I spent three years writing the book and tidying up all the imaginary plot twists. Sadly, the real situation in north Mayo remains unresolved. From his window seat in one of Casa Verro’s largest guest suites, Neil opened the shutters and caught the scent of the sea. Beneath him, a patchwork of planted fields and pastures stretched for mile after emerald mile. Yet the realization that the land sat on a waking volcano spoiled the idyllic scene. That and knowing the verdant panorama wasn’t Ireland. The air currents shifted. Tantalizing whiffs of roasting pork and baking bread made his mouth water, yet they couldn’t subdue his growing dread that he’d never see Ireland again, never fly again, or zoom off in his Jaguar. His family, his friends, and his precious Talty would all be lost to him if the Peregrine Portal left him behind when it called the others home. 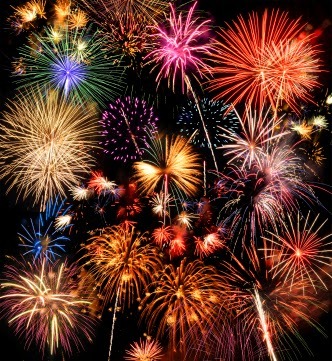 The fervent "Ooh!" behind him was a sound he knew well: Talty had found something to wear to the feast for the Meddiss. Neil turned his head just as Renen raised the top of a shimmering white gown over the pink-tipped breasts that perfectly fit the palms of his hands. For over an hour, Talty had been trying on the late Danella’s gowns. Renen had come to help. Her shocked gasp when she’d first seen the scars on Talty’s chest had nearly caused Neil to send the woman away. Talty had said nothing, and Renen, a servant unaccustomed to questioning her betters, had recovered well. "This is lovely, Renen," Talty said. "It is the finest silk." The fussing servant pinned the shoulder straps with matching broaches. The dress fell in graceful folds, the cloth so fine it seemed transparent. Gold threads woven through the material shimmered with Talty’s slightest move. The gathered waist flattered her slender form—too slender in her view, it seemed. "It fits well enough," she said with a downward glance, "but the top is too big." "Your mamms do look a little lost in there," Neil called from the window. The women’s heads jerked. As he’d suspected, they’d forgotten he was there. Talty raised her chin and glared. "You never seem to have any trouble finding them!" Renen grinned at the playful repartee. "The baroness stretched the dress more, yes, but you, Lady, are well formed and lovely. We will show them. We only have to fix the pins." She gathered the material tighter and reset the broaches. When she finished, Talty’s eyes widened, silently asking Neil’s opinion. "You look more grippable now, darlin’." He made squeezing gestures and laughed at her openmouthed gasp. "Really, Tal, you look fine. No goddess could be more beautiful." "This one can," said Renen. "We will add perfume and jewels, though even the baroness had no rings as fine as yours, Lady." Talty extended her hand and gazed at the rings Neil had placed there. She smiled lovingly at him as she answered Renen. "I feel strange wearing Danella’s things, but I suppose I have no choice." "No," Neil muttered. "The airline lost our luggage." 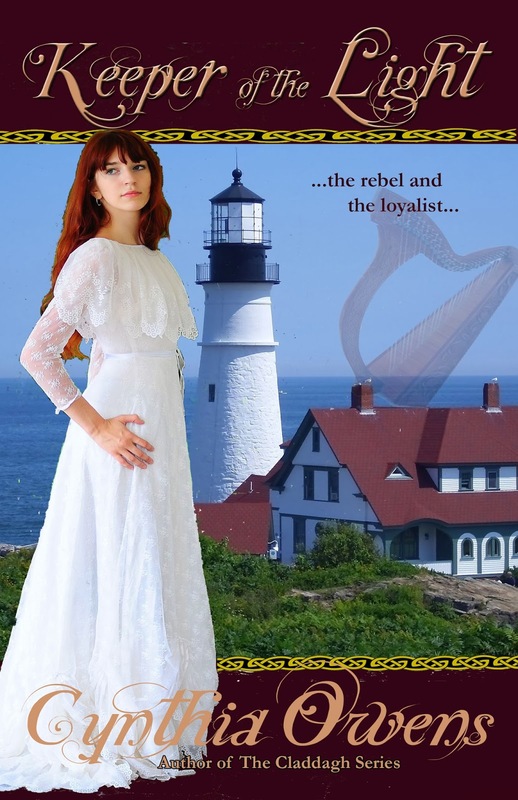 Boston, Massachusetts native Pat McDermott writes romantic action/adventure stories set in an Ireland that might have been. Glancing Through the Glimmer and its sequel, Autumn Glimmer, are young adult paranormal adventures featuring Ireland’s mischievous fairies. 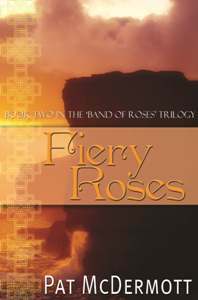 Both books are “prequels” to her popular Band of Roses Trilogy: A Band of Roses, Fiery Roses, and Salty Roses. Her first adult contemporary romance, The Rosewood Whistle, was released in June, 2013. 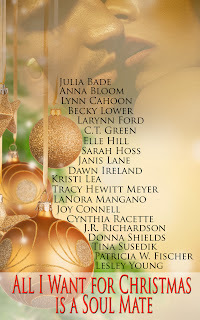 Pat is a member of the New Hampshire Writers’ Project, Romance Writers of America, and Celtic Hearts Romance Writers. Her favorite non-writing activities include cooking, hiking, reading, and traveling, especially to Ireland. She lives and writes in New Hampshire, USA. The Wild Geese Have Arrived! Hello everyone! Cynthia Owens here. I’m so pleased to be back at the The Celtic Rose to introduce Deceptive Hearts, the first book in my new Wild Geese Series, which has just been released from Highland Press. The Wild Geese Series revolves around five life-long friends who met on a coffin ship bound for America from famished Ireland. They grew up together on the mean streets of New York City, and when the American Civil War began, they joined up with Thomas Francis Meagher to fight with the Irish Brigade. But now the war is over, and they’re ready to re-start their lives – and find new love. Deceptive Hearts is Shane MacDermott’s story. A former boxing champion and a hero at Bull Run, he returns to New York City to take up his old life as a member of the Metropolitan Police Force. When he meets Lydia Daniels, a beautiful, wealthy and mysterious society lady, he begins to suspect she’s running a high-class brothel from her elegant Gramercy Park home. A hero of the Irish Brigade, Shane MacDermott returned home to New York to find his family decimated and his world shattered. Lydia Daniels will risk anything to protect the women she shelters beneath the roof of her elegant Gramercy Park mansion—even if she has to trust the one man who can destroy her. Shane and Lydia both harbor secrets that could destroy them – and put their lives in jeopardy. Can their love overcome their carefully guarded deceptive hearts? The ship Sally Malone bucked and groaned and almost upended him. Shane MacDermott halted in his tracks for the fraction of a second it took to steady himself before he scurried down the crowded passageway. Intent on his mission, Shane nodded a brief thanks and hurried on, carefully picking his way through the narrow, crowded aisle, one skeletal arm cupped protectively around the dipperful of warm, brackish water. “All this rolling and tossing does make walking terrible difficult,” another woman, one of the strange community that had sprung up in this miserable, stinking hole, commiserated. Shane barely noticed, and didn’t speak. He had to bring the water for Da. Had to help Ma dribble the few drops through his parched lips, praying they might just break the terrible fever that held his father in its deathly grip. His mother looked up at his approach, a smile lighting her haggard face. Shane looked at her closely and shook his head in sadness. She was that thin a gust of wind could blow her off the ship and away back to the Cove of Cork. “Ah, my Shane, ‘tis a fine lad ye are.” Ma’s blue, blue eyes, the only bit of color in her pale face, glowed with love as she took the dipper from his trembling hands. He reckoned they’d been on this dreadful ship for five torturous weeks. Shane collapsed on the narrow wooden bunk, too weary to notice the miasma of vomit, urine and unwashed bodies. His younger brother and baby sister stared vacantly at him. He gazed into their gaunt faces. They’d left Ireland for a better life in America, but a sudden terrible fear swept over him. Would any of them live to see it? Shane jumped up and hurried to the bunk where his father lay, his burly blacksmith’s frame shrunken, perspiration dotting his waxen forehead. Tears threatened to blind Shane, but he blinked them back furiously and swiped a grimy hand across his nose. He was ten years old now. He wouldn’t let Da see him cry! He opened his mouth to speak, but all that emerged was a squeak. Da didn’t hear, for he was struggling to speak again. The tears he could hold back no longer coursed down Shane’s face as he watched his father’s eyes close for the last time. And Shane MacDermott vowed he’d never—never—let anything harm another person he loved. Pat McDermott here, happily letting everyone know I have a new release: a contemporary "autumn" romance set in western Ireland and Dublin. The Rosewood Whistle is something different for me. No fairies, no parallel worlds, just a tribute of sorts to Ireland's traditional music, spellbinding legends, and unique humor told through the cautious but compelling relationship of a man and woman offered a second chance at love. I had fun with this one. Each chapter title contains a phrase from an old Irish song. No worries if you can't guess them all while you're reading. I added a list of titles at the end of the book. On her own at the end of a long and difficult marriage, Gemma Pentrandolfo still hears the critical voice of her husband taunting her from his grave. 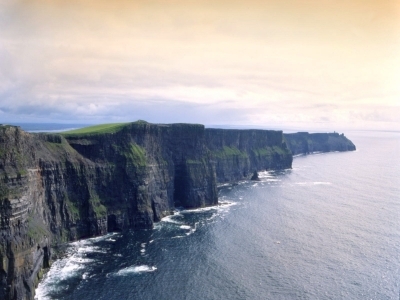 To foster her independence, she schedules a summer vacation in County Mayo intending to write her first book, and she's counting on Ireland for inspiration. An idea presents itself when she explores Achill Island with a silver-tongued tour guide whose good looks prompt her to write more than her high-minded novel: she transcribes her years of longing in a steamy fantasy no one is meant to see. Years have passed since an accident claimed the self-absorbed wife who scorned Ben Connigan and his music. Since then, the former tin whistle ace has avoided marriage, though he never lacked for female companionship before he traded his high-tech career for the slow-paced life of a hometown tour guide. Ben has accepted the end of his run of discreet affairs, until he takes Gemma touring. Her passion for Ireland impresses him. Her love of Irish music soon compels him to dust off his whistles. Knowing she'll leave at the end of the summer, he sees no harm in keeping her company—until he dares to dream of spending the rest of his life with her. Undaunted, Scully and Tom tilted their drinks to their smirking mouths. The gleam in their eyes dared Ben to act. Despite their jowls and glasses, they might have been fifteen again. He wasn’t about to reveal the incident with the hose to these two. They didn’t have to know he only meant to apologize, not initiate farcical courtship rituals. So why did a pendulum swing in his chest, its speed increasing with every stroke? Something to do with her drenched blouse and pants. Would she remember him? Accuse him and his garden hose of lewd behavior? He swallowed a mouthful of beer and wiped his hand across his lips. The pendulum slowed. Aware of the eyes digging into his back, he kicked himself out of his chair and swaggered to her table. She read her menu through little gold glasses. Tiny laugh lines enhanced her eyes and her curving lips. No lipstick. Ben liked that. She held the one-page card in her long slender fingers. No nail polish. And no wedding ring. Scully was right about that at least. He’d reached the chair where she’d laid her coat. She sensed him there, for she looked up. Eyes as brown as Belgian chocolate widened in surprise. Her mouth fell open; her cheeks turned crimson. No doubt about it, she knew him. Now what? Fortune favors the bold, and all. Exploiting her befuddlement, he pounced. “We haven’t been properly introduced. I’m Ben Connigan. Might I sit?" Her eyes returned to their normal size; the red in her cheeks softened to a tea rose hue. She slipped off her glasses and smiled at him, and his heart flopped like a fresh-caught trout. 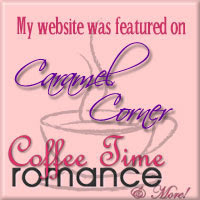 visit The Rosewood Whistle Page on my website. 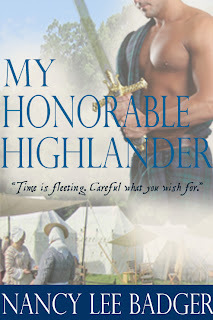 MY RELUCTANT HIGHLANDER is out! It has been a long time coming, but I am proud to announce the release of my third book in the Highland Games Through Time series. MY RELUCTANT HIGHLANDER returns five years later to the fictional New England Highland Games and follows Skye Gunn, sister to the Gunn laird, and Jake Jamison, a present day blacksmith. Though this is the final book in the series, I plan to write several novellas using secondary characters, like a TV show spin-off. This is also my first attempt to use my Art Degree to make my own book cover. I hope you like it. The book is a full-length novel, which will be available in print in the near future. Skye has spent the last five years trying to forget the blacksmith who followed her back to 16th century Scotland, to help fight evil. Sending Jake Jamison home against his will was a disastrous mistake. She risked everything attempting to defeat Andreas Borthwick. Jake might have defeated the evil sorcerer, preventing her husband’s death. When she prevents the sorcerer from grabbing her nephew, he takes her instead. To escape, she defies time to find Jake. The last person Jake wants to see is the young woman from ancient Scotland; the same woman who has haunted his dreams since she blackmailed him into traveling back in time. 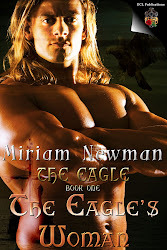 Before he could save Skye Gunn’s people, she had sent him home. Until he met Skye, his life had been normal. Quiet, and uncomplicated. No one knows he is a firebreather, except her. His ancestry is a mystery. When Skye falls into his bed—beaten, bloody and beautiful—Jake must choose to trust her, or turn his back on the only woman he’s loved across time. Skye encourages Jake to use his ability to help her kill the sorcerer. Stealing his heart was not part of the plan. Jake must share his secret, Skye must give her heart fully, and both must dare to love in the time they have. Goodreads Giveaway: MY BANISHED HIGHLANDER in Print! This is the 2nd book in the series and was released last September. The contest is over at Goodreads and you have until May 31st to enter! MY RELUCTANT HIGHLANDER, Book #3, is COMING SOON! Glancing Through the Glimmer: Available In Print! Pat McDermott reporting in, delighted to announce that Glancing Through the Glimmer, my Young Adult adventure set in an Ireland that might have been and featuring Ireland's fairies, is now available in paperback. The fairies are happy, and so am I. Find out what it's about Here. And check out the paperback on Amazon Here. E-book lovers, never fear. 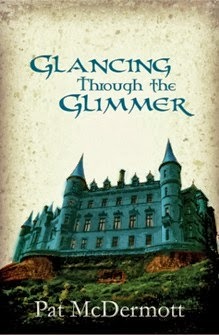 Glancing Through the Glimmer is still available for your e-readers. I have been busy working on the third book in my Highland Games Through Time series, but life keeps getting in the way. This is the 1stbook in the series and was released last May. The contest is over at Goodreads and you have until April 30th to enter!